The 44th Annual Ole Brook Festival is right around the corner! This year’s festival will begin with a kick-off concert Friday, October 5th featuring the Sam Mooney band. Saturday morning at 8 a.m. over 200 arts and crafts vendors will open shop, the kid’s zone with giant inflatables will open at 9 a.m. with $10 wristbands, and live entertainment will be on the main stage thought out the day. Food will also be available on Railroad Avenue. Some of the weekend’s headliners will include Brookhaven Rock Academy, MSA Choir, Hannah Belle and the Epic Funk Brass Band. 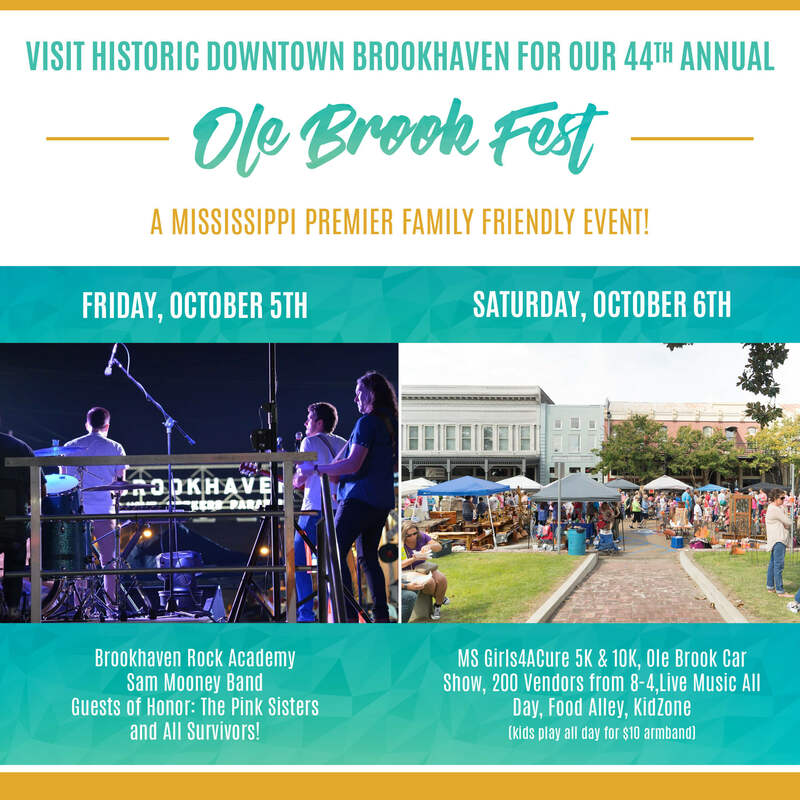 The annual Ole Brook Festival Car Show of vintage and antique cars is always a hit and will be held in the middle of the festival in downtown Brookhaven beginning at 9 a.m.
For more information email or call the Chamber at Admin@Brookhavenchamber.com or 601-833-1411.